Amplience is on a mission to help the world’s leading brands overcome the "big content" challenge. Unlike existing CMS and DAM solutions, the Amplience flagship product, Big Content Cloud, delivers rich content production, analytics and publishing capabilities API first, on a single multi-tenanted cloud platform that supports continuous innovation and unparalleled 99.99% uptime. 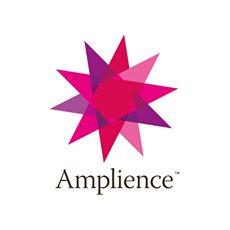 Amplience has locations in New York and the UK. The Amplience Big Content Cloud is built to meet the "Big Content" challenge of a complex, omni-channel digital landscape. The platform delivers rich content production, analytics, and publishing. Built for global enterprises, consumer brands and multi-brand retailers. the Big Content Cloud is structured on the capability of Amplience Content Hub.